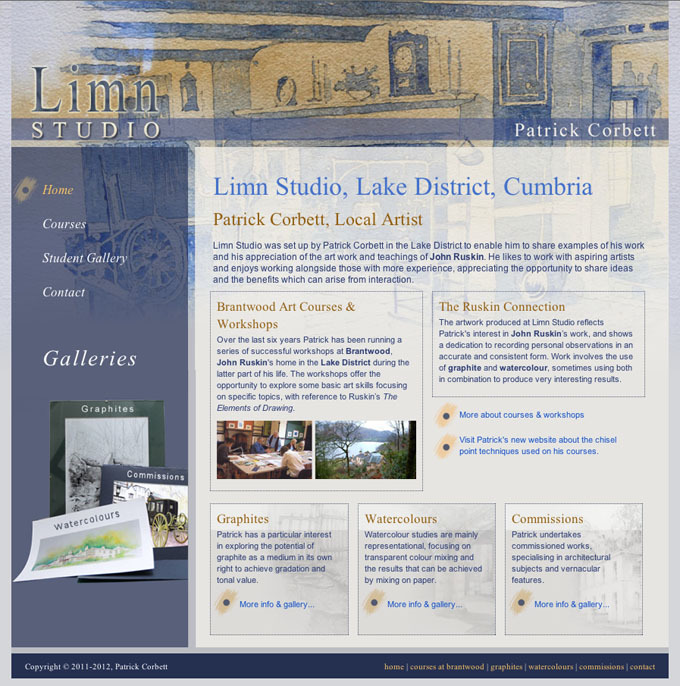 New website design for a local artist to showcase his work and advertise his art courses and workshops in the Lake District. Patrick supplied a large number of scans of his artwork and we selected some of these for use on the website. One was used as a background image for the website and the rest of the design evolved around it. We also produced a collage using 3 images to provide the navigation links for the Galleries and came up with a special bullet design using a brush stroke.